The oil and gas industry in Canada has been through a rough patch the last few years. Many Canadian and foreign investors have divested from the industry completely due to the complex nature of the industry and regulations. This has caused most of the industry to be badly discounted, as investors step to the sidelines and wait until there is more predictability. The inability of Canadian companies to secure oil and gas prices similar to those around the world has stemmed mainly from the uncompetitive transportation costs. The costs are uncompetitive because the supply of oil and gas produced is not met with enough pipeline capacity. While this may be problematic for the industry as a whole, it leaves the pipeline companies in a much better position. One company best positioned for stability and future growth is Enbridge (TSX:ENB)(NYSE:ENB). Enbridge is the largest pipeline operator in Canada, and its mainline system represents close to 70% of Canada’s takeaway capacity. It also has many regional lines that tie into this mainline system, which adds to its competitive advantage, as these lines come directly from existing projects with long-term contracts in place. Enbridge also runs a portfolio of other businesses, including the largest natural gas distributer in Canada. Throughout 2018, Enbridge was focused on deleveraging itself by selling non-core assets. Enbridge has also made investments in new projects that have favourable synergies with existing assets. This has put Enbridge in a more favourable position, as it lowers its debt/EBITDA (earnings before interest, tax, depreciation, and amortization) and improves its financial position. Enbridge’s dividend is one of the best features of the company for investors. The nature of Enbridge’s businesses and assets offer predictable and stable cash flows—two important factors investors want to see out of companies paying dividends. Additionally, with the sale of non-core assets in 2018 and the restructuring of its financial position, Enbridge has a goal to increase its dividend by 10% in 2020. This is an attractive prospect and one that is entirely possible given management’s ability to succeed in the restructuring. Continuing to grow EBITDA and distributable income while deleveraging itself has put Enbridge in a safer financial position to continue to grow the dividend. Streamlining the business and focusing on its low-risk pipeline model also helps. The $1.8 billion in new projects Enbridge invested in recently looks promising and helps to further streamline the business. These projects only add to the growth prospects of the company. Additionally, the Line 3 replacement coming online in 2020 will also help to give a boost to the cash flows. 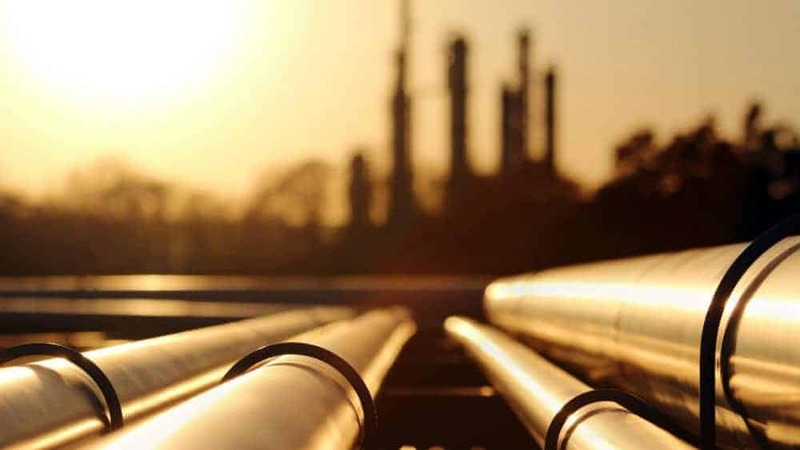 Although new projects don’t always work out and go as expected, the number of projects Enbridge has in its pipeline, so to speak, makes the company look very attractive. Management looks very committed to making the business more efficient through the sale of non-core assets, which helps to fund the new projects that have important synergies. The nature of the pipeline business gives Enbridge a big advantage because the barriers to entry are so high. It is difficult and lengthy to get regulatory approval to build a pipeline. Moreover, the costs are so high that the complex economics have to make sense to all parties involved. This gives pipeline owners massive competitive advantages to the markets they serve. Another factor working in Enbridge’s favour is how the contracts work. Long-term contracts secure years of stable cash flows to pay off the capital costs in the long run. This makes it almost impossible for a competitor to come in and build a competing pipeline. The natural gas distribution business is also highly regulated and therefore has difficult barriers to entry. Enbridge operates the largest natural gas distribution company in Canada operating in Ontario and upstate New York. Enbridge is one of the best companies for long-term investors. The solid asset base, stable cash flows and potential to continue growing makes it hard to beat. The dividend is also very safe and will continue to grow into the future. Long-term investors who are patient will be rewarded for years to come. Fool contributor Daniel Da Costa has no position in any of the stocks mentioned. The Motley Fool owns shares of Enbridge. Enbridge is a recommendation of Stock Advisor Canada.